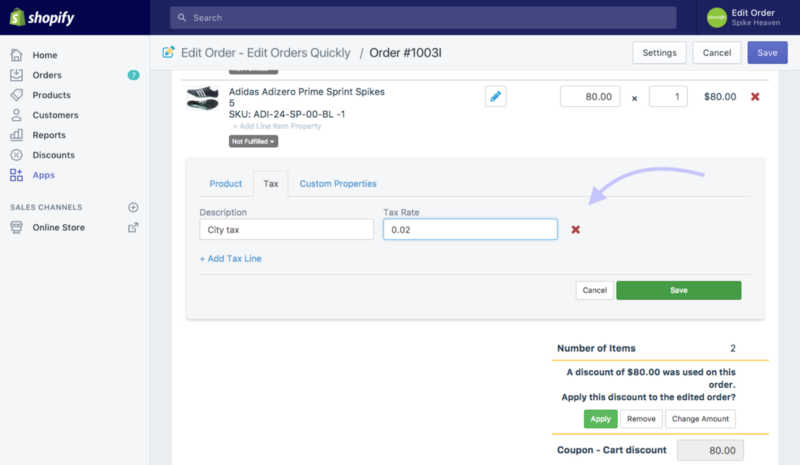 When making decisions about sales tax on Shopify, you can use Edit Order to specifically edit your tax amount, or remove it completely. This article will show you how. 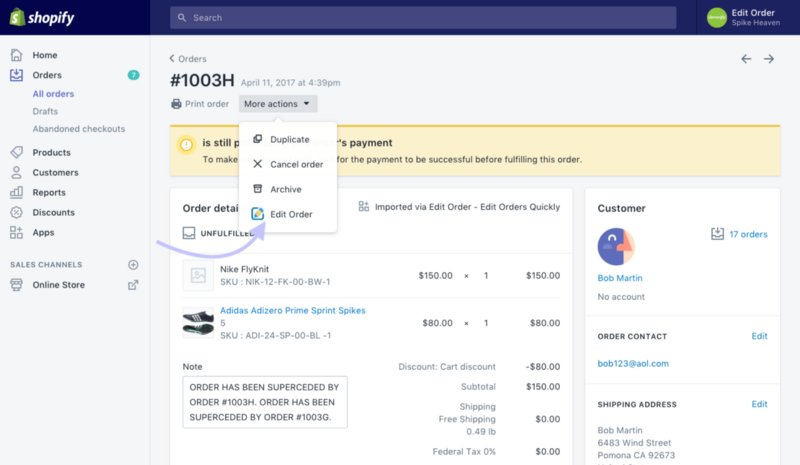 Go to Orders page in your Shopify admin and select the original order. 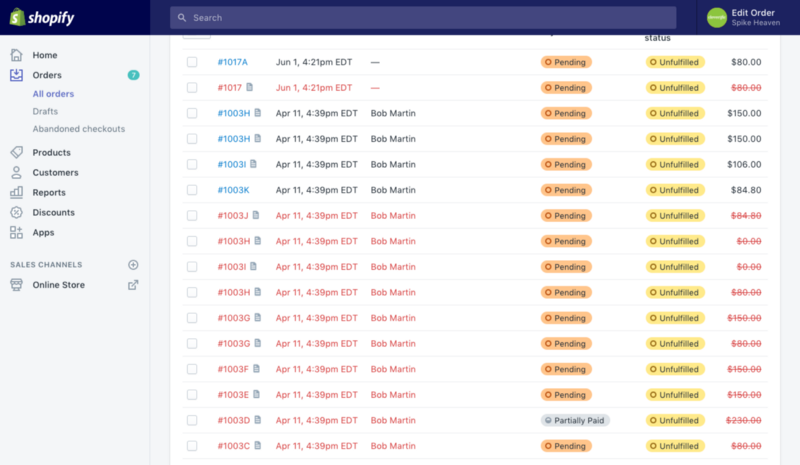 On the orders detail page, select Edit Order from the More Actions dropdown. 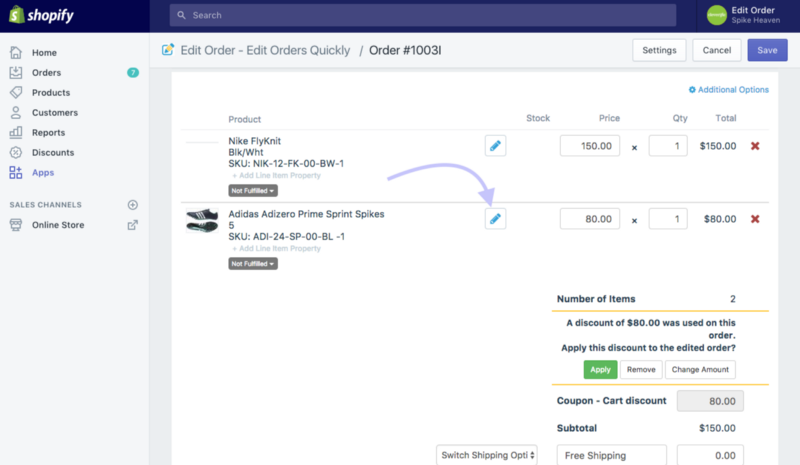 Click on the blue pencil next to the product you want to edit. Select the Tax tab and change the tax rate or use the red "X" to remove tax line altogether. Click the green Save button within the product area to save your edits.